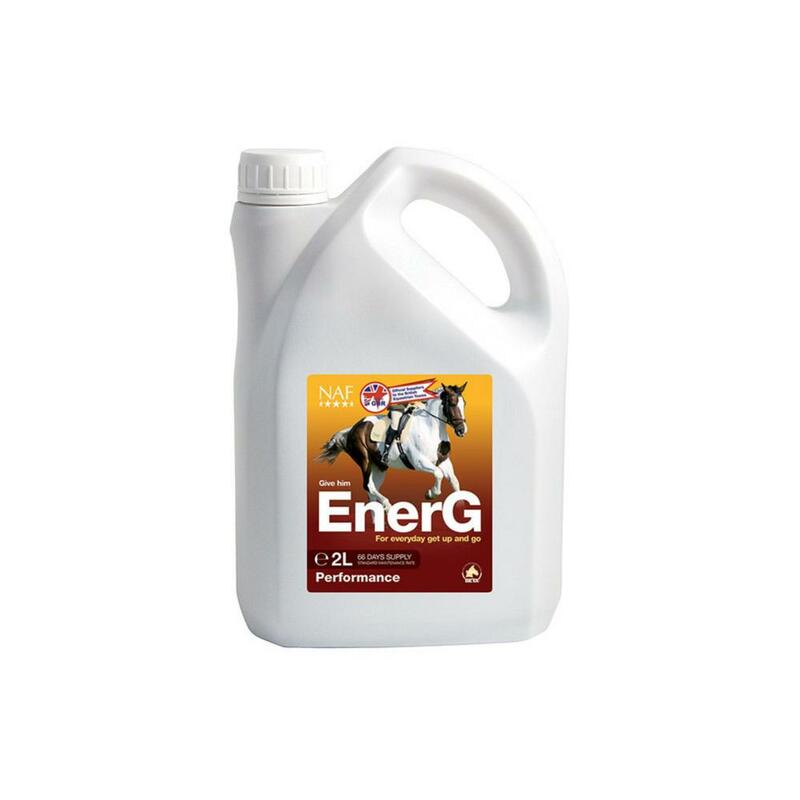 NAF EnerG is a liquid formula which helps to improve peak performance in hardworking horses. It contains various nutrients which are lost during strenuous exercise including electrolytes, iron, copper and zinc. Without these essentials being kept at a balanced level, the horse can become lethargic and become less able to perform at an expected level. It also contains vitamins which help to contribute to the efficiency of red blood cells and the horse's metabolism. The peppermint flavour ensures excellent palatability. 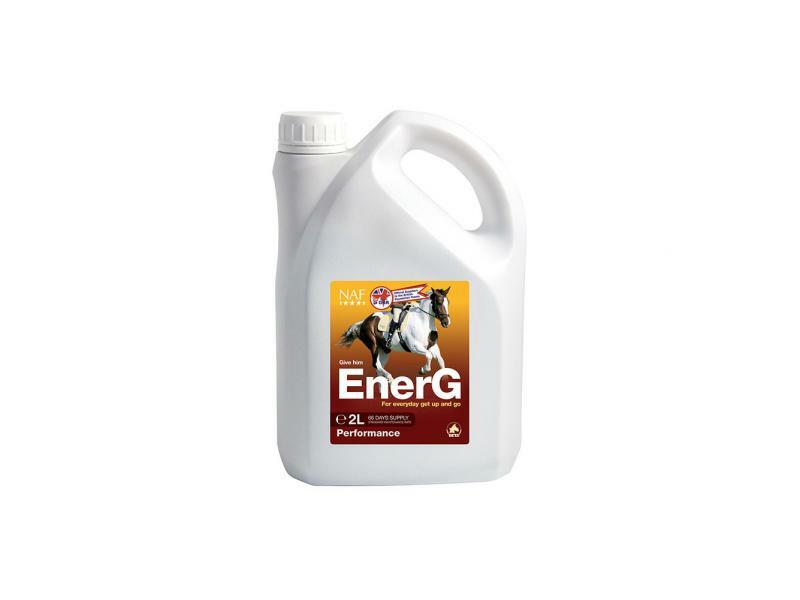 For an instant boost, NAF EnerG Shot provides a quick and easy way to increase performance levels in your horse. 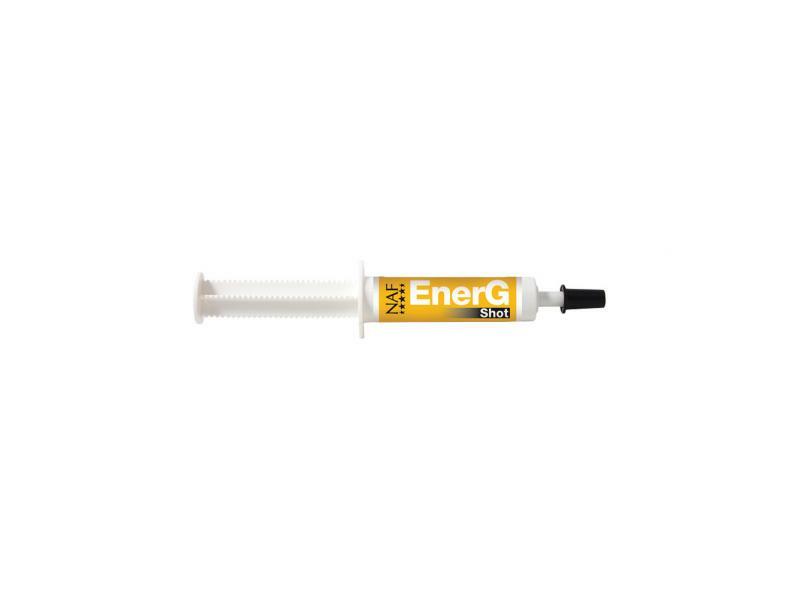 Ideal for during competition or training, EnerG Shot provides all they need in a syringe small enough to fit in the pocket. Water, dl-Phenylalanine, l-Argine, l-LysineHCl, Glycine, Starch, Iron sulphate, Potassiumsorbate. Horses & Ponies feed 1 syringe on an empty stomach, 1 1/2 - 2 hrs before competition (1/2 syringe for small ponies). Below are some recent questions we've received regarding NAF EnerG for Horses, including answers from our team. This product does not contain any substances which are banned under Jockey Club rules.